After suffering a serious injury, you need a strong voice to fight for your rights and secure the compensation you need to recover. In fact, you need an attorney, who is capable of successfully filing claims against large companies, such as Kaiser Permanente. At the Law Offices of Scott S. Harris, APLC, I protect the rights of injured people throughout Southern California. My practice focuses on medical malpractice, personal injury, legal malpractice, and wrongful death claims. 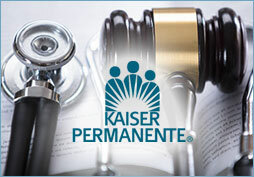 Many of my clients seek damages for injuries caused by the medical professionals employed by Kaiser Permanente. For more information about your case, contact my office to schedule a free initial consultation. I am a lifelong resident of San Diego, California, and will fight for local residents who have been injured by the negligence of others. I believe that every person deserves to have an experienced lawyer at their side when they are forced to deal with overtly aggressive lawyers, or the major insurance companies. You should not have to struggle to get negligent parties to compensate you for the serious injuries which they have caused. While you focus on recovering from your serious injuries, I will focus on getting you the compensation you deserve. I will aggressively represent you in negotiation, litigation, or arbitration, particularly Kaiser Permanente Arbitrations. At the Law Offices of Scott S. Harris, APLC, I treat each client as a person. As such, you may rest assured that your case will not get lost in the shuffle, and that you will always deal directly with me. I firmly believe that people deserve to have an attorney who will take the time to understand their concerns. For more information about a personal injury, medical negligence, or legal malpractice claim, contact my office to schedule a free initial consultation. I represent people throughout Southern California, including people in San Bernardino, and El Centro.